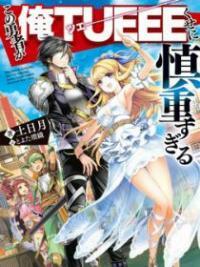 You’re reading novel The Demonic King Chases His Wife: The Rebellious Good-for-Nothing Miss Chapter 216 online at LightNovelFree.com. Please use the follow button to get notification about the latest chapter next time when you visit LightNovelFree.com. Use F11 button to read novel in full-screen(PC only). Drop by anytime you want to read free – fast – latest novel. It’s great if you could leave a comment, share your opinion about the new chapters, new novel with others on the internet. We’ll do our best to bring you the finest, latest novel everyday. Enjoy! But truthfully speaking, Hou San’s stones’ quality could be regarded as pretty good. In the thousands of pieces of raw material, unexpectedly, she found two crystal stones. As for the remaining eight pieces, Su Luo wanted to use them to play dumb. The reason why she selected this waste material was because she wanted to keep a hand up her sleeve. That center position which originally only had five to six pieces, she had rashly picked out four pieces. It indeed made his heart bleed almost to death. Su Luo boldly used her foot to kick at that pile of source stones. If she had to carry everything home to cut, she wouldn’t have that much time or manpower. Moreover, she still had other things she needed to do. Hou San’s heart hurt sorely. It wrenched in agony until he was half dead and had lost most of his life energy. This was because Su Luo had given him an age-old difficult problem. She wanted to make him personally cut these source stones. If he cut out a crystal stone, how could he not go mad from jealousy? If he was unable to cut one out, then wouldn’t he be bringing black luck to his store? As a result, whether he could cut one out or not, his heart would not be happy with either result. Hou San really couldn’t understand. This Miss seemed to be merely fourteen to fifteen years old. How could her brain be so weird and cunning? Was she trying to plot against him? To conspire against him openly and aboveboard? Hou San was frustrated and depressed for quite a while. However, the surrounding heckling crowd was really noisy and bustling with excitement. Added to that was Su Luo’s mysterious ident.i.ty. Hou San had no choice but to lift up his spirit and cut the source stones for Su Luo. Nevertheless, he should look forward to cutting out a crystal stone. This way, the source stones in this store could all be sold for a good price. Hou San finally came around to the idea. He continuously prayed that he could cut out a crystal stone. His hand lifted and the knife cut down. The first cut was like cutting a watermelon starting down from the middle. The exposed two halves were all a grey dusty color, not a trace of a crystal stone’s color could be seen. Hou San was unwilling to believe it. Slice after slice, he cut everything into silk-like bands… However, as before, no trace of crystal stone could be found. The surrounding people all liked to join in on the fun and heckled on for no reason. They unceasingly gave Hou San more pressure. Hou San’s heart was getting angry, but he had no way to let it out. He picked up the second piece and started to cut. However, despite the fact that he had cut it into fine powder, still there was nothing. The third piece, the fourth piece….still no trace of a crystal stone. Hou San started to get anxious. Drop by drop, cold sweat appeared on his face. He took a furtive glance at Su Luo and only saw that she was the same as before, an appearance of being unmoved by any winds that blew. She casually stood, with a careless gaze that seemed indifferent. The fact was, cutting these source stones had no negative impact on her funds! If he cut one out, she would make a profit. If he didn’t cut one out, then his own reputation would suffer a loss. Whatever happened, she was unlikely to lose out in the end. It was no wonder that she had this appearance of being secure. Once Hou San thought to this point, he again felt a burst of suffocating anger. His heart was full of endless regret. This young Miss appeared to be pure and dim, who knew she would be this cunning! Afterwards, even if he gained ten thousand more times the courage, he wouldn’t dare to oppose this little witch. Hou San’s heart suffered from pent-up frustrations, but his hands didn’t stop. The hand lifted and the knife lowered, the fifth piece….still nothing. The sixth piece…Hou San started to waver. 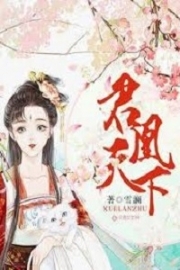 You're reading novel The Demonic King Chases His Wife: The Rebellious Good-for-Nothing Miss Chapter 216 online at LightNovelFree.com. You can use the follow function to bookmark your favorite novel ( Only for registered users ). If you find any errors ( broken links, can't load photos, etc.. ), Please let us know so we can fix it as soon as possible. And when you start a conversation or debate about a certain topic with other people, please do not offend them just because you don't like their opinions. You're reading The Demonic King Chases His Wife: The Rebellious Good-for-Nothing Miss Chapter 216. This novel has been translated by Updating. Author: Su Xiao Nuan,苏小暖 already has 13965 views. Current Time is Apr-19-2019 14:56:27 PM.